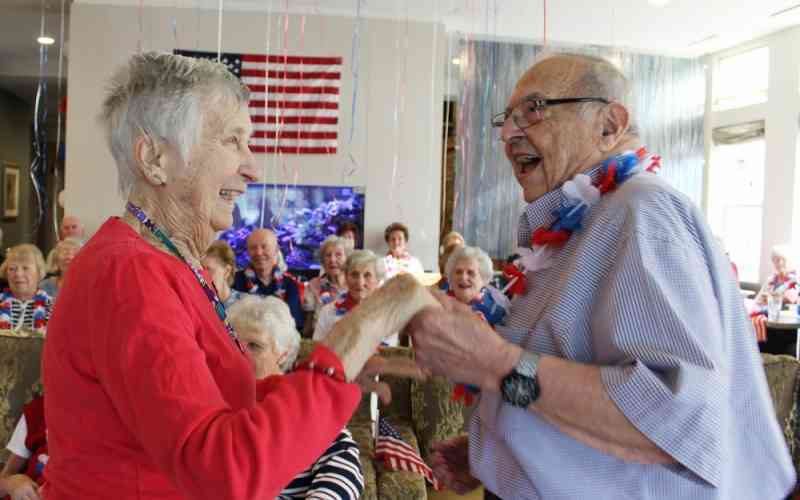 Ev’ry heart beats true ‘neath the Red, White and Blue and residents and staff wore the colors at our recent flag-inspired bash! We sang, danced, enjoyed red, white and blue sangria, and even did the limbo before the party’s grand finale – a group sing of God Bless America! As we celebrate Flag Day today, take a look at some photos from the party: click here.